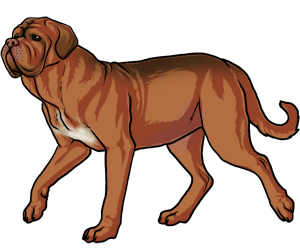 Thought to be related to the Bullmastiff, Bulldog and Tibetan Mastiff. It has always been used as a hunter and guardian. They were trained to bait bulls, bears and jaguars. They hunted boars and herded cattle. Is the 158th breed accepted by the AKC. Is a very good hunter and very protective.